Hello! 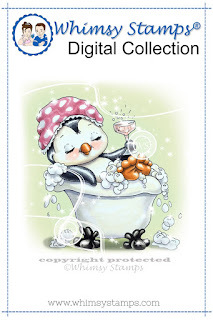 Today's card is made using Whimsy Stamps' Penguin Bubble Bath. This penguin is so adorable. I colored the image using Copic markers. Such a cute card! I love your choice of colors and that image is darling.